Ian joined World Cement in 1998. As advertising manager, Ian looks after hundreds of clients that advertise with World Cement every year, providing advice and insight into how to get the best value for their marketing budget. Ian is a familiar face at all the big industry events, and regularly attends conferences in North America, Latin America, Asia, the Middle East and North Africa. If you don't catch him at one of these, it's likely he will visit you at your location. 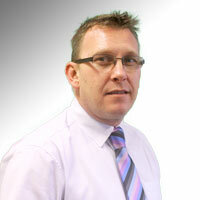 Ian believes in doing business face-to-face and regularly travels internationally to visit customers. When not on the road, Ian enjoys country pubs and the coastal areas near his home.